Private equity funds offer a way to get an infusion of capital (and additional business acumen) for your company for a period of time, while letting current management maintain a leadership role in its operation and avoiding a sale to a strategic acquirer. It’s called equity recapitalization, and it typically involves selling a minority or majority stake in your company to a private equity (PE) group. PE firms raise money from institutions and high net worth individuals and generate returns for those investors by investing in private companies. PE professionals are typically involved only at the Board level of their portfolio companies and thus rely on management to continue to lead the company day-to-day. Selling all of your remaining stake alongside the PE’s exit to a third-party buyer. Selling a portion of your remaining stake and “rolling over” the remaining equity into the next deal with a new PE firm. Buying back the equity stake from the PE firm and regaining full ownership. Obtaining an influx of capital to support growth. Allowing you to retain operational control and maintain the company’s culture and identity. Gaining access to the business networks and operational expertise of the PE partners to expand the business. An opportunity for you to recognize significant future equity returns (the proverbial “second bite of the apple”). If retaining control of the business is crucial, you must make that fact clear early on in the search process. Most private equity firms require a majority position for their investments, though there are funds that focus on making minority equity growth investments. You must be comfortable operating in a leveraged environment. Most PE groups utilize some level of debt alongside their equity contribution to acquire their majority stake and cash flow from the company is used to service this debt. While this is the most efficient use of capital for the shareholders (including the business owner), it does increase the fixed costs of the business. Determining the value of the company. Finding an intermediary who will explore investment interest in the private equity community. Performing due diligence when it comes to potential private equity partners. Clarifying the tax implications of potential debt and equity recap structures. Structuring the private equity recap transaction. Establishing a plan for growth following the private equity investment. Astute business owners will engage an independent pre-transaction advisor to serve as an “owner’s representative,” providing unbiased advice on how much your company is worth and when your company is ready to pursue an equity recap. The pre-transaction advisor can also help you choose which deal professionals to engage, including an M&A attorney to document the transaction and a business broker or investment bank to help market the company to the appropriate PE funds and ensure confidentiality of the process so as not to alarm customers, employees, or competitors. 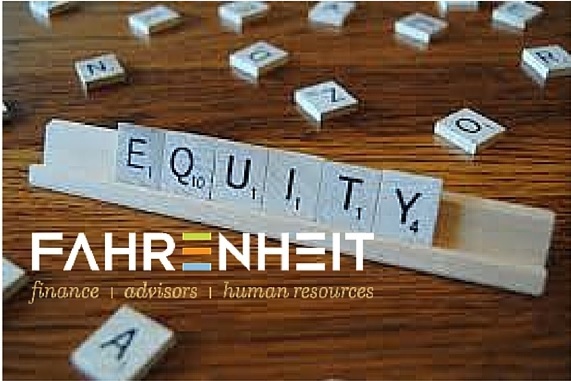 Knowledge and experience with equity recaps and with businesses in your industry. Contacts and understanding of investment criteria with the private equity community. An understanding of the tax and dilution implications of various debt and equity structures. Another important element of an equity recap is to ultimately select a financial partner who shares your vision for the company, because the private equity fund will play a key role in future growth. It is also vital to consider how well the personalities will mesh on both sides in the years to come. The current management of the company must feel comfortable interacting on a regular basis with the team from the private equity fund, as it will be a partnership going forward, regardless of whether a majority or minority stake is acquired. Once the private equity firm is selected and a value for the company is determined, due diligence is performed, the legal purchase documents are negotiated, and a closing date is set. The typical process generally takes four to six months to complete. Bottom line: An equity recap is a complex transaction that takes several months to complete and creates a partnership between the business owner and the PE firm that has a finite time horizon. Equity recaps continue to gain popularity among business owners who have found it a preferable path versus selling their companies outright or merging with other corporate entities.